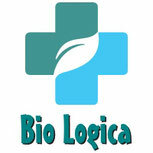 Lacca Spray K-hair Alkemilla - Benvenuti da Bio Logica Shop! INCI: Aqua [Water], Alcohol denat. (*), Sodium polyitaconate, Prunus amygdalus dulcis (Sweet almond) fruit extract (*), Linum usitatissimum (Linseed) seed extract (*), Avena sativa (Oat) kernel extract (*), Panicum miliaceum (Millet) seed extract (*), Helianthus annuus (Sunflower) seed extract (*), Glycerin, Benzyl alcohol, Parfum [Fragrance], Coumarin.